I love The Lego Movie when it came out, it’s one of my favourite animated movies of this decade. So when I got the chance to take a look at DK’s book about the making of The Lego Batman Movie, it got me really excited. I’ve been a big fan of DK books for while, and this isn’t my first Lego-themed DK book (the other one that I have it about all the different Lego minifigures). Editor’s Note: You’re probably thinking, what’s a books review doing on a technology site, well technically technology was used to animated The Lego Batman Movie and on TheCanadianTechie, we also talk about movies and tv shows, so a book review about the making of an animated movie isn’t too far off. Now onto the book itself, The Lego Batman Movie: The Making of the Movie has a beautiful hardcover with embossed the Lego logo, the movie’s logo and all the other text all embossed so it’s raised and behind the text is some concept art for the Lego Batman Movie. This great-looking cover has already drawn me to read more, in addition to my ongoing curiosity of the making of the movie. 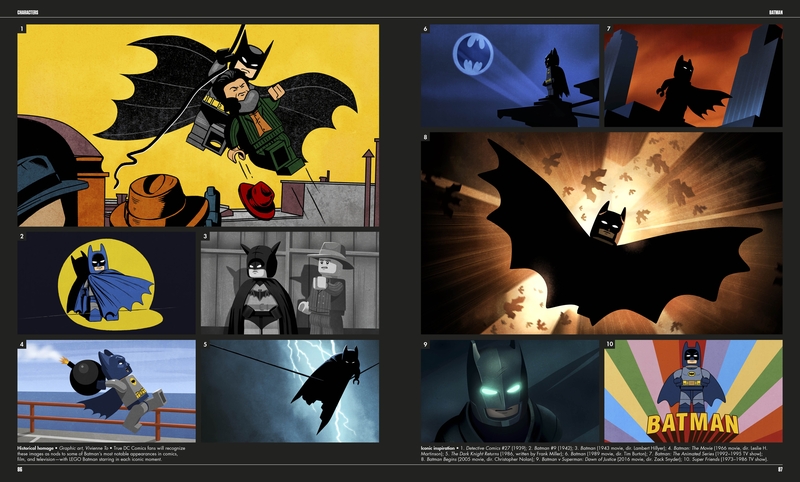 Even the table of contents looks great with on one half has Batman looking ominous and the other half with some storyboard art for when Batman says, Life doesn’t give you seatbelts, to Robin in the movie. 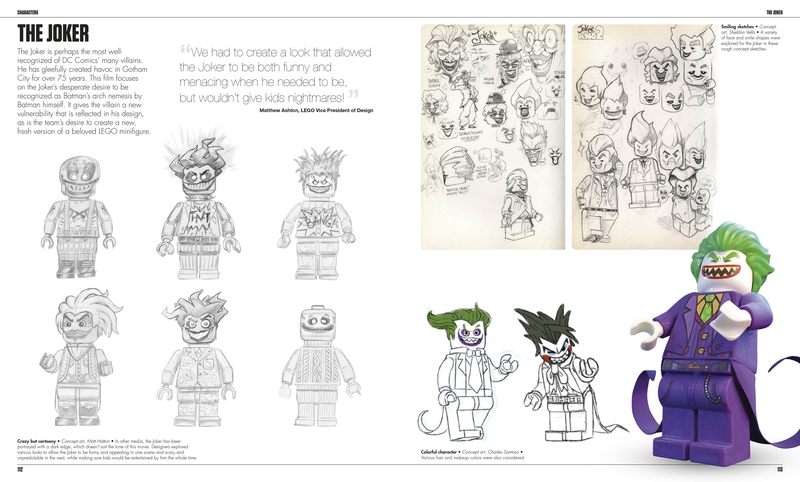 The first section of the book is filled with 20 or so pages of the timeline of making a movie like the Lego Batman Movie from how work began just after the Lego Movie had finished, then to ideas, scripts and storyboards and then later to the the modeling, animation, marketing and the final product. 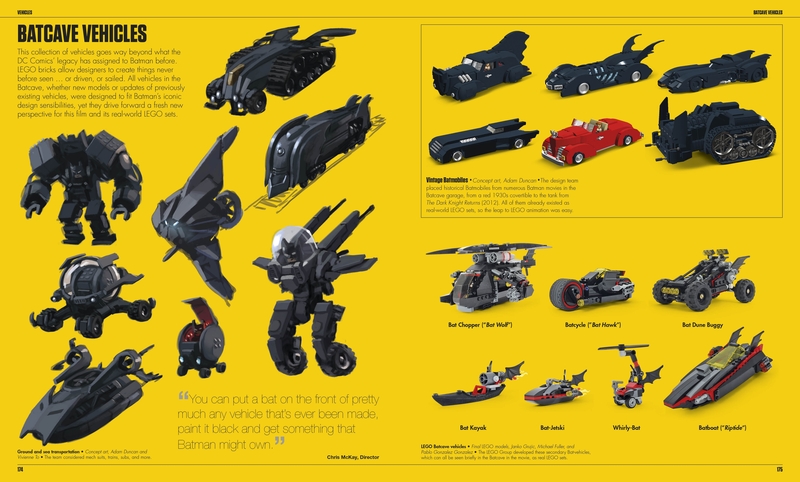 Each of these pages has a yellow and black colour scheme to go along with Batman’s colours. And each spread to divide each section has a beautiful look at one of the scenes from the movie , like for example, when the books starts to talk about Locations in the film, it starts with a shot of Gotham City and then the first thing it talks about when you turn the page is Wayne Manor. And you’ll see all the different concepts and sketches that the film’s artists and designers came up with and then the final product as it’s seen in the movie. There is also quotes from people who worked on the film, littered throughout the book, in each chapter. Each chapter goes into detail about all the different variations of the just one character or building was designed throughout the production of the film. Take for example, the character section of the book about Bruce Wayne. It starts off with some sketches of the handsome billionaire and then goes into the many outfits they came up with for Bruce Wayne like one with a vintage suit and one with a tuxedo and skates. The book also talks about how the designers and animators would use Will Arnett’s recording sessions to help get facial expressions to help animated Bruce Wayne in minifigure form. There’s also about 30 different variants of Batman like Boo Batman (where he’s a ghost with the Batman logo), Easter Batman (where he’s the Easter bunny) and Wizbat (where Batman has become a wizard). 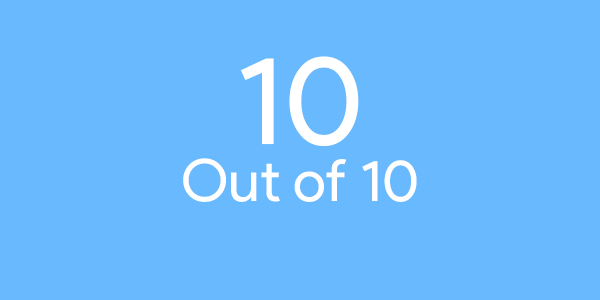 Overall, the book is really detailed and has more visuals than text, so that is making it hard for me to write a review of the book, since it’s so visual and you’ll really need to see it for yourself. If you’re like me and you get really exciting about how films get made, then this book will make an excellent addition to your collection. 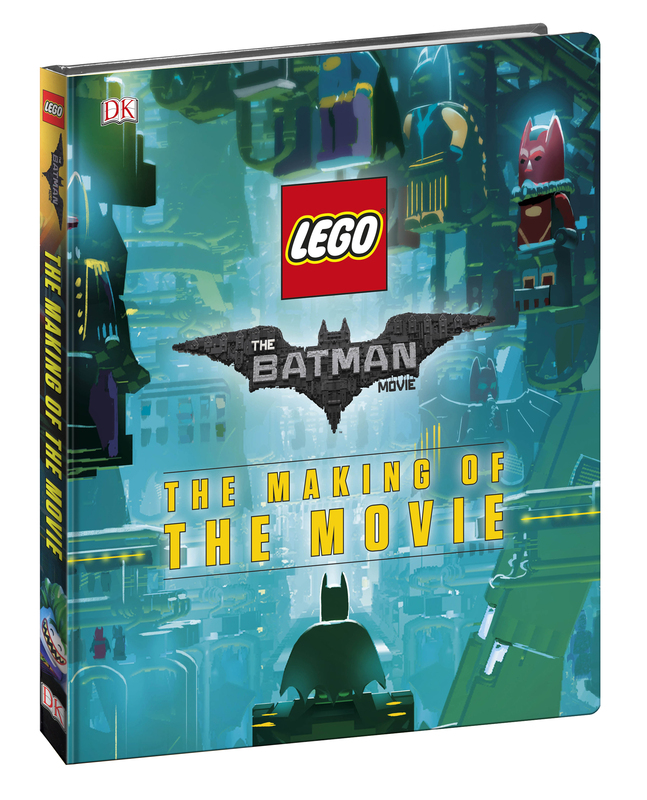 If you’d like to learn about the Lego Batman Movie: The Making of the Movie, you can find out on DK’s website, the book is also available on Amazon.ca.